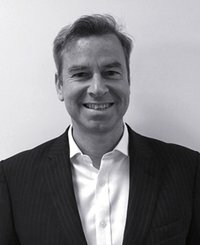 Iain has vast experience in assisting high-growth companies achieve their potential. He joined PGT from HannawayCA Corporate Finance Limited (HCACF), part of the HannawayCA professional services group. Iain was Managing Director of HCACF; its Chairman is John Hannaway, former President of the Institute of Chartered Accountants Ireland. As Managing Director of HCACF, Iain was responsible for operations, regulation and risk management, as well as selling, staffing and delivering projects. Before joining HCACF, Iain was a Director in the Corporate Finance department of PwC for 15 years. He advised on a range of M&A, infrastructure and financing projects and specialised particularly on energy projects, including the financing of Simple Power (wind turbines) and DFD Solar (solar farm), the acquisitions of Viridian/NIE (conventional and renewable generation and supply), Phoenix gas (transmission and supply) and iPower (standby power via diesel generators). Iain also advised on the sales of WarmFill and HEAT (both energy efficiency businesses). Before joining PwC, Iain was Finance Director of AiM-listed technology company bizzbuild, where he was responsible for financial reporting, audit, treasury, M&A and financial strategy. Prior to bizzbuild, Iain worked in the Corporate Finance team at BT (telecoms and IT), and went on to head the team. At BT, Iain led BT’s acquisitions (aggregate value >$5bn) and investments as part of its geographic and product diversifications. He was asked to join the Joint Venture Boards of BT Ocean (Ireland) and Airtel (Spain), to look after BT’s interest in these early stage/growth companies.